Speeding Facts: Is Speeding Worth It? We’ve all tried to “make up time” by driving faster. But the speeding facts tell us that rushing on the road is seldom worth it. Exceeding the speed limit will almost certainly get us to our destination faster, but probably not fast enough to justify the safety risk—or the very real threat of getting a costly speeding ticket. To answer the question, “Is speeding worth it?” it makes sense to take separate looks at the two main kinds of driving: in-town driving and highway driving. In-town driving, of course, is full of stops and starts, whereas highway driving allows for longer stretches of interruption-free travel. To determine the speeding facts for in-town driving, I mapped out a typical trip I take to my daughter’s ballet class 8.8 miles from my house. To get there, I take various surface streets. I spend 2.1 miles in 30 MPH zones and 6.7 miles in 40 MPH zones. Remember from math class that distance = rate * time. This means that distance / rate = time. You’ll then want to multiply the time by 60 to determine the minutes you’ll spend driving. If I drive 35 in the 30 zones and 45 in the 40 zones, the driving will take me 12.5 minutes. If I drive 40 in the 30 zones and 50 in the 40 zones, the driving will take me 11.19 minutes. So, as you can see, even driving quite aggressively only saves me about 3 minutes on a typical route. Now, you might object, there are times when, by going a few MPH faster, you'll hit a green light when you would have hit a red, and you’ll save yourself perhaps one minute. I’ll grant you that. But I’ve also noticed plenty of times when I’m driving the speed limit in the slow lane, and there’s a car in the fast lane taking off like a rocket from every light, speeding, and weaving around other cars. For several lights in a row, I’ll invariably end up right behind that person as they wait out the red light they reached 10 seconds before me. Maybe they’ll finally catch an extra green light, say, every four lights or so. But it’s a well-known fact that by speeding, you simply increase the likelihood you’ll reach the next light before it has turned green. So all the time you saved by speeding will probably be wasted anyway. Let’s suppose that on my way to my daughter’s ballet class, I drive quite aggressively and save three minutes of driving time. I also manage to avoid three red lights, each of them saving me one minute (an extremely optimistic estimate). That’s six minutes of time saved by exceeding the in-town speed limits by 10 MPH. Speeding by 10 MPH is a lot on city streets. Is it worth it? To not be six minutes late for a ballet class? I say no. I’ll continue to drive the speed limit within town. 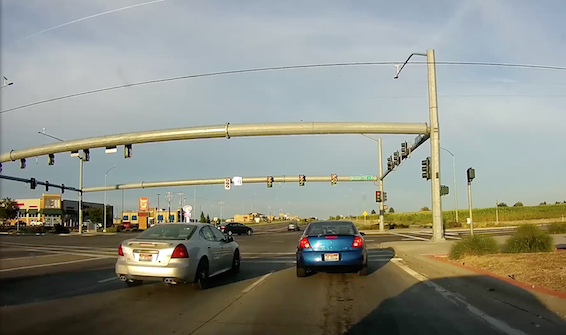 The one exception I make is that when I’m coming up on an intersection and I know the green light is a “stale” green light (likely to change to red very soon), I’ll often speed up so that I can sail through the intersection. Let’s call it “strategic speeding." What about highway and freeway driving? This is where speeding can actually save us some more significant time—but the speeding facts may not be as impressive as we had hoped. As I mentioned, highway driving tends to involve more extended stretches of high-speed travel. There are times when you’re stuck in traffic and forced to drive in little bursts of 25 MPH aggravation, but we’ll forget about that because in those cases, speeding isn’t an option anyway. Let’s take a hypothetical 100-mile stretch on an unclogged freeway and see how much time we can save by speeding. If the speed limit for those 100 miles is 70 and I obey it, the drive will take me 86 minutes. If I drive 75, the trip will take me 80 minutes. If I drive 80, the trip will take me 75 minutes. If I’m willing to risk 85, I can get there in under 71 minutes. Traveling 15 miles over the speed limit is pretty significant speeding. For a typical 100-mile drive, it might save you 15 minutes. In the western U.S., of course, you’ll see more 75 MPH and 80 MPH speed limits on the freeways. Doing a 100-mile drive at 85 instead of 75 would save you about 9 minutes. Driving 90 instead of 80 would save you slightly less than that. 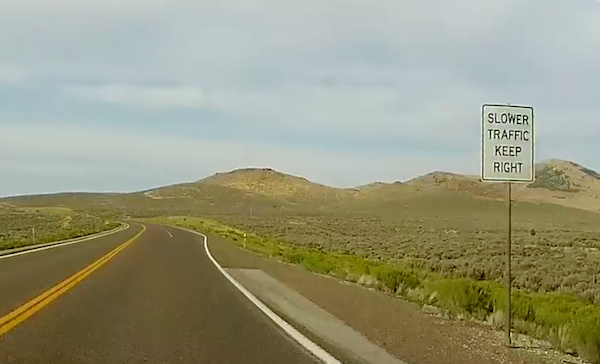 What if you’re looking at a longer road trip, such as a 400-mile drive in one day? Driving 75 instead of 70 would save you 24 minutes, while driving 85 would save you about an hour. Now, keep in mind that these statistics require you to average speeds of 75 to 85 miles per hour. No matter how determined you are to exceed the speed limit, you will probably have to slow down at times because of trucks in the left lane, pockets of city traffic, or roadwork. That means you’d have to drive above these speeds for a while to make up time. I don’t know about you, but I’m not sure I’d want to spend an entire day’s road trip exceeding the speed limit by 21 percent just to get to the hotel one hour sooner. If I were in a hurry to get to a dying relative’s bedside, I might be tempted to do it. But in ordinary circumstances, I can’t imagine enduring an entire day of high-stress driving (not to mention, gas-wasting and risking a speeding ticket) just for an extra hour of leisure time. Speeding in-town is almost certainly not worth it, unless you’re an ambulance driver (and if so, God bless you). Speeding on a freeway with no appreciable traffic only saves a certain amount of time, and it’s probably not as much as you think. Let’s always be safe out there—and let’s be realistic about how much time we can “make up” by speeding.